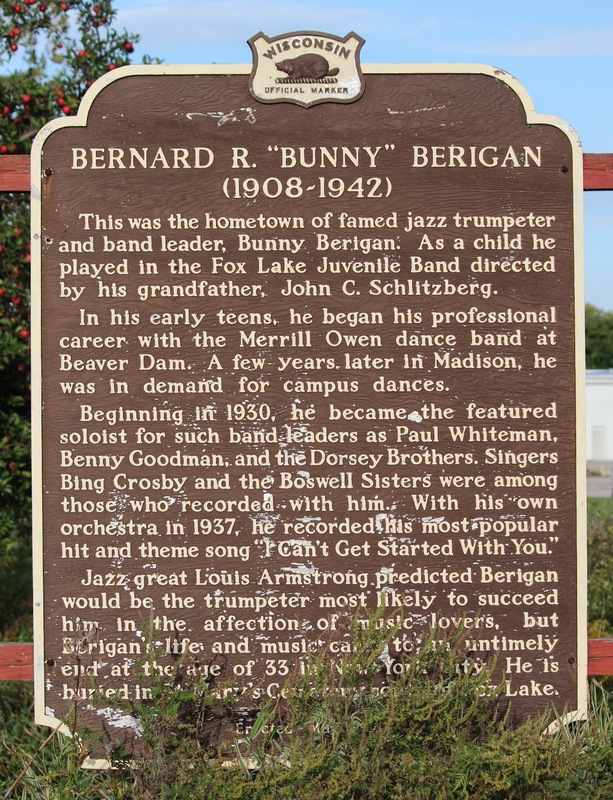 This was the hometown of famed jazz trumpeter and band leader, Bunny Berigan. As a child he played in the Fox Lake Juvenile Band directed by his grandfather, John C. Schlitzberg. In his early teens, he began his professional career with the Merrill Owen dance band at Beaver Dam. A few years later in Madison, he was in demand for campus dances. Beginning in 1930, he became the featured soloist for such band leaders as Paul Whiteman, Benny Goodman, and the Dorsey Brothers. Singers Bing Crosby and the Boswell Sisters were among those who recorded with him. With his own orchestra in 1937, he recorded his most popular hit and theme song, "I Can't Get Started With You." Jazz great Louis Armstrong predicted Berigan would be the trumpeter most likely to succeed him in the affection of music lovers, but Berigan's life and music came to an untimely end at age of 33 in New York City. He is buried in St. Mary's Cemetery south of Fox Lake. The marker is located at a highway pull-off at Adams Spring Park on southbound Spring Street / State Highway 33 / County Highway C, south of its intersection with Cordelia Street, Fox Lake, Wisconsin 53933. Be sure to check out Bunny's music on the YouTube clips below. His music is wonderful! The marker is at a turnout near the entrance to Adams Spring Park. 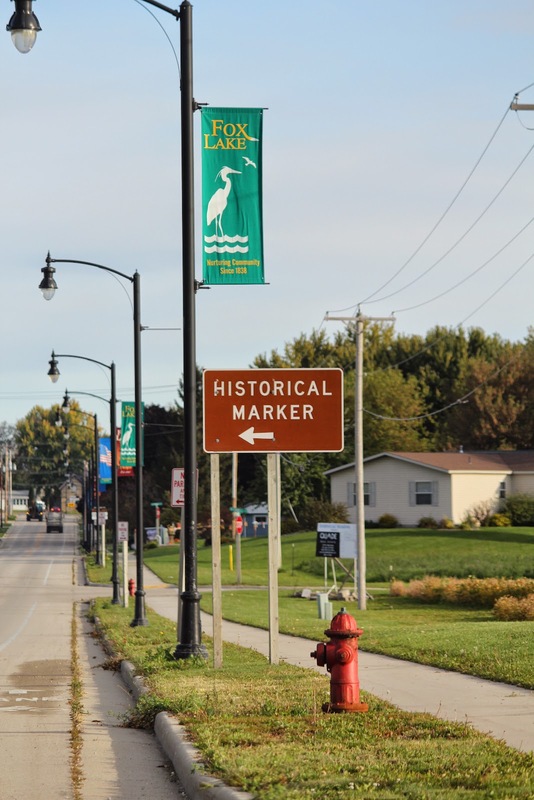 The marker is located in Fox Lake, Wisconsin.